In Morocco, 40 per cent of the population is involved in agriculture. The country went without rain for over two months due to the El Nino phenomenon and received 42.7 per cent less rain during its main planting season. The impact of climate change on Morocco’s agricultural production was catastrophic, with total output falling 70 per cent in the 2015 season. It is this experience and the futility of it that made Morocco put the impacts of erratic weather patterns on agriculture at the heart of the discussions during the COP22 in Marrakech. While Morocco was instrumental in formally launching “Adaptation of African Agriculture” (AAA) initiative at the COP22 conference, the host nation of the summit has also been directing its efforts towards fighting climate change by acting upon several sectors. In 2015, this North African country banned the use of plastic bags, initiated the process of replacing dirty old fleet of buses and taxis, announced plans for extending the urban tram networks in Casablanca and Rabat and also launched first city bicycle hire scheme in Africa. Morocco has also taken an ambitious leap to transform the country’s energy mix. In 2015, King Mohammed VI announced the government’s plan to increase the share of renewable electricity generation to 52 per cent by 2030. In 2015, the country removed subsidies on petroleum products. According to the INDC (Intended Nationally Determined Contribution) plan submitted by Morocco to the UNFCCC, the country plans to reduce greenhouse gas emissions, especially in agriculture, by 32 per cent by 2030. Morocco has also pledged to plant 200,000 hectares of forest. These measures will lead to a cumulative reduction of 401 megatonnes of C02 over the period 2020-30. However, Morocco’s commitment is largely dependent on accessing climate financing. The first phase of the Noor solar project (160MW) near Ouarzazate was opened in February 2016. Instead of conventional PV (photovoltaic) solar panels, Noor uses CSP (concentrated solar power) technology wherein giant mirrors reflect the sun’s rays on to tubes containing liquid. This liquid is super-heated to drive turbines. In fact, CSP offers storage of electricity for up to three hours after the sundown, hence covering peak demand times. Phase II, which is currently under construction, uses the same CSP technology on a bigger scale. Phase III is expected to use a new variant of the CSP technology. These two projects, likely to be completed by 2017-18, will add another 350MW to the national grid. The fourth phase is also on the anvil. Morocco is also heavily investing in wind. A consortium of Enel Green Power, Nareva and Siemens will build five new wind farms at different sites across Morocco—Midelt, Tangier, Jbel Lahdid, Tiskrid and Boujdour in the disputed Western Sahara territory. 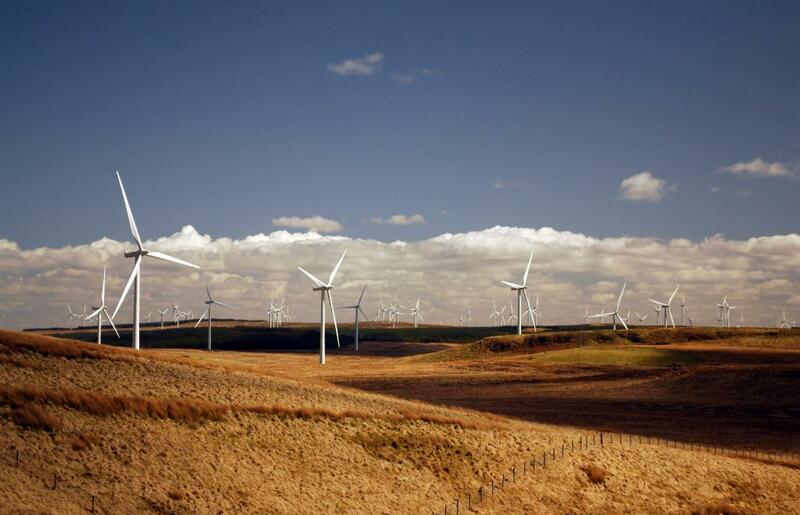 These wind farms will have a combined capacity of 850MW. This huge surge in power generation will take Morocco closer to its aim of producing 14 per cent of electricity from wind by 2020. Per unit cost (US$0.03 per kWh), as mentioned in the tenders, was one of the lowest in the world. Although the launch of the Noor CSP project has reduced the price of electricity to around $0.16 per kWh, but still it is expensive compared to solar PV, which has reduced to as low as $0.03 per kWh. To remain commercially competitive across the world, the costs of CSP have to fall low enough. Moreover, the CSP technology uses large amount of water to keep the mirrors clean. But in water-stressed Morocco, availability of enough water is a challenge. Fossil fuel still dominates the energy scenario in Morocco with coal contributing the largest part of energy production (35 per cent). It is set to expand over the next five years. Meanwhile, the search for hydrocarbon deposits in Morocco continues.